I can’t believe this year is coming to a close so quickly! 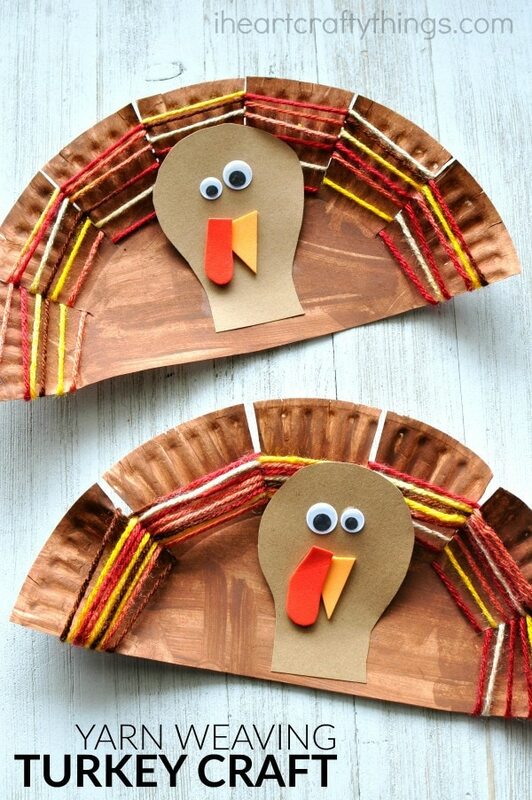 Today we are wrapping up our Thanksgiving crafting this year by sharing this paper plate yarn weaving turkey craft. 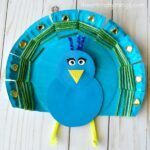 Not only is it adorable but it is awesome as a fine motor activity for kids. The multi-colored yarn we used is absolutely perfect for the craft but if you can’t find any, you can use any solid colored yarn too, especially fall colors like reds, oranges or yellows. 1. Start by cutting your paper plate in half. Then cut slits along the outside edge of the paper plate about every 1-1/2 inches and cut the slit down till you reach the inside circle of the paper plate. 2. Paint the front of your paper plate with your brown paint. Let it dry completely. 3. Attach the end of your yarn onto the back of your paper plate at the bottom where the ends of your cuts are (see picture above). 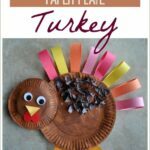 Turn your paper plate over and weave your yarn in and out of the slits to make colorful turkey feathers. When you are finished weaving tape the end of the yarn onto the back of the paper plate. You can see there are a few different ways the weaving can look. You can spread it out along the slits, or press the yarn down and have the weaving close together all around the slits. 4. 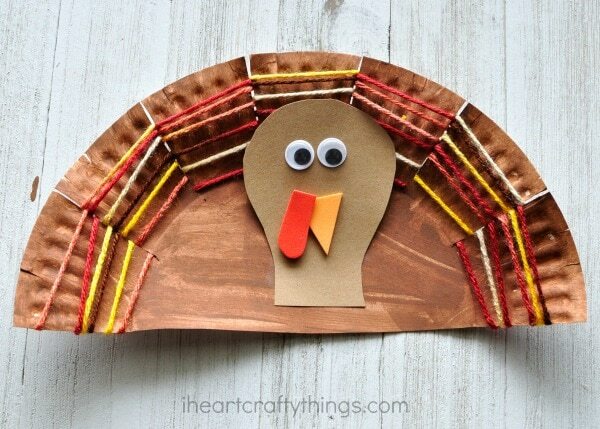 Cut out a turkey head, beak and waddle out of your brown, orange and red cardstock. 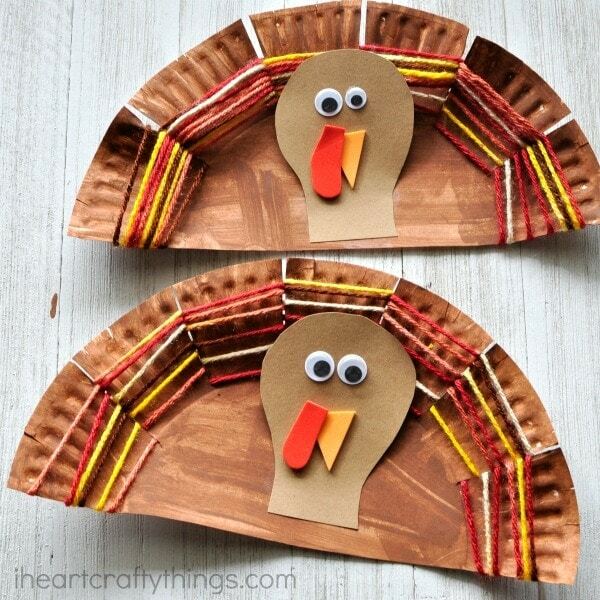 Glue your head onto your paper plate, under the yarn weaving. 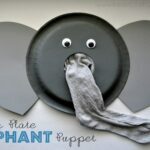 Then glue on your googly eyes, beak and waddle.